In addition to an iPad-ready version, a new edition of Office is expected for OS X Lion sometime next year. The current version of the desktop package, Office 2011, officially supports iOS versions up to Snow Leopard. A Lion version, likely available via the Mac App Store, is widely expected. Windows, too, is due for an update, with Office 2012 currently in beta form. Time Warner Cable Inc. and U.S. pay- TV companies, weighing how to profit from surging Internet demand spurred by Netflix Inc. and Hulu, are on the verge of instituting new fees on Web-access customers who use the most. At least one major cable operator will institute so-called usage-based billing next year, predicts Craig Moffett, an analyst with Sanford C. Bernstein & Co. in New York. He said Cox Communications Inc., Charter Communications Inc. or Time Warner Cable may be first to charge Web-access customers for the amount of data they consume, not just transmission speed. The order comes amid growing speculation about Facebook’s preparations for an initial public offering, which could be valued at more than $100 billion. The settlement with the F.T.C., analysts say, could potentially ease investors’ concerns about government regulation by holding the company to a clear set of privacy prescriptions. There are lessons here for entrepreneurs. From the get-go, companies may want to have stock option plans that prevent sales to third-party investors until an I.P.O. or other liquidation event. This will have the benefit of keeping the company below the 500-shareholder level and will also allow it to control any private market in its shares from springing up. Twitter, LivingSocial and Square have all reportedly required new investors to agree to terms like this. "Until now, Heroku's Postgres database service – originally launched in 2007 – has only been available to Heroku customers for use with Heroku platform apps," said Matthew Soldo, a product manager with Heroku. "With measured service uptime of four nines (99.99 percent), and designed data durability of eleven nines (99.999999999 percent), the service is trustworthy for mission-critical data. As of today, these production-quality Heroku Postgres databases are independently available for use from any cloud platform, provisioned instantly, metered by the second and without contract." To date, Soldo said Heroku Postgres has written 19 billion customer transactions. It processes 400 million write-transactions every day. A recent survey by Forrester shows that consumer interest in a tablet computer running Windows has dimmed measurably since the beginning of the year. During the third quarter, 25 percent of consumers surveyed by Forrester said they would most prefer a tablet running Windows, down from 46 percent in the first quarter of the year. Separately, AllThingsD reported that Andreessen was contemplating taking the executive chairman role at Yahoo as part of a bid that would include his Andreessen Horowitz venture firm. Andreessen Horowitz is bidding with the Silver Lake group, according to the report. The firm previously teamed with Silver Lake on its acquisition of Skype, and then on the sale of that company to Microsoft. Piper Jaffray analyst Gene Munster surveyed a few Apple stores on Black Friday and found that iPad sales per hour were 68 percent higher than they were a year ago. On average, the stores Munster visited sold about 14.8 iPads per hour, up from 8.8 iPads per hour last year, more than enough to support the analyst’s projection of 13.5 million iPads sold in the December quarter. Seems those iPad concerns were a bit overblown. Many retailers are enjoying a Thanksgiving shopping spree lift from investors, but not Groupon. Its shares closed today down nine percent, settling at $15.24 after bouncing off a new low of $14.85. That’s less than half the $31.14 that some investors paid at the stock’s high point, just after it went public in early November. More recently, it has been trading in the low to mid-$20s. Regardless, Google was right, the smartphone wars are on: This is the new PC, only bigger because it’s smaller, more ubiquitous, more connected, more personal. Google doesn’t want anyone (but themselves) to control the smartphone market the way Microsoft dominated the PC; they don’t want anyone to stand between the viewer and the ads they serve up. With Android, they engineered a Trojan Horse: The ‘‘free and open” smartphone OS came with mandatory Google applications that guarantee the vital revenue-generating exposure to advertising. As Bill Gurley explains in his memorable “The Freight Train That Is Android” post, Google wants its smartphone OS to flatten everything in its path — and they’re succeeding: Android now has more 50% of the smartphone market. That dominant position was taken from Nokia, the former king; from Palm, now deceased; from RIM, sinking fast; and from Microsoft, struggling to get in third place with its truly modern but late to the game Windows Phone 7, this after losing the market because of its creaky Windows Mobile. A new crop of websites and smartphone applications are allowing people to farm out chores to a growing army of temporary personal assistants. These micro-employees are taking the division of labor to once-unthinkable extremes. Thousands of unemployed or underemployed workers have parlayed one-off job requests into part- or full-time work. The gigs are especially popular with stay-at-home moms, retirees and students. Workers choose their jobs and negotiate their own rates. But Google has a secret weapon when it comes to mapping social connections: Gmail. The search company's email service has hundreds of millions of users. And those who use the site regularly may have accumulated hundreds of contacts. When a user clicks +1, Google can show that not just to the user's friends in Google+ but also to certain contacts in Gmail, including those on a user's chat list. On Facebook, it's understood that "likes" are shared with friends. But Google users that click +1 may not be aware that Google is using it to target ads at some of their Gmail connections, which could prove a privacy concern. Groupon's IPO looks a particular disaster. Barely three weeks after selling just 6% of its shares outstanding to the public, Groupon's share price is in free-fall. At $16.96, where Groupon closed Wednesday, shares are already well below the initial public offer price of $20. Doubts about Groupon's business model had been well-publicized. Still, among technology IPOs dating back to 1995, Groupon offered the fourth smallest number of shares as a percentage of those outstanding, according to Dealogic. That was likely a key factor behind its strong debut. AT&T Inc. (T), whose $39 billion bid forT-Mobile USA is challenged by the U.S. Justice Department, will record one-time costs of $4 billion this quarter to reflect the risks of a collapse of the deal. AT&T and T-Mobile owner Deutsche Telekom withdrew an application to the U.S. Federal Communications Commission to focus on winning clearance from the Justice Department, the companies said in separate statements today. The pretax accounting costs reflect the potential breakup fees due to Deutsche Telekom, Dallas-based AT&T said. By signing the nondisclosure pact, Microsoft will get a closer look at Yahoo’s books. This time around, however, it is unlikely to pursue its own takeover attempt. Instead, it may aid others. A growing number of parties have signed confidentiality pacts with Yahoo, an indication that there is dwindling resistance to certain requirements of the agreement, including one that prevents potential bidders from talking to each other. Available in time for the holidays, it starts up in Kid Mode — a password-protected gated community of sites, apps, music and videos of your choosing. Unlike an iPad, this tablet runs Flash, so your bookmarks can include sites like PBS Kids. There’s a front-facing camera that can be used to Skype with a grandparent, and accelerometers that let you steer a race car in Need for Speed Shift — one the 15 apps that were preloaded on the unit I tested. The sound is so-so; stereo headphone jacks supplement the audio. Castlight aims to do as its name suggests: cast light on the actual costs of medical care, so that people can make informed decisions. The company, founded in 2008 by entrepreneurs Giovanni Colella and Todd Park, now chief innovation officer for the U.S. Department of Health and Human Services, offers computer-based tools that let people comparison shop for health care in much the same way they would for airline tickets on Travelocity or for cars on Cars.com. The company sells its tool to self-insured employers, who pay a fee per covered member per month, and in turn offer employees access so they can become more responsible users of their benefits. It has raised $81 million in venture funding to date. Current customers include Safeway and Life Technologies, a leading maker of genomics tools. James Faucette, an analyst at Pacific Crest Securities, cut his forecast for Nokia Windows phone sales this quarter to 500,000 units from two million on Tuesday, explaining that Windows phones designed by Nokia had no clear advantage over other manufacturers’ devices that would allow them to compete. “With no breakthrough innovation, we believe Nokia’s new phones are unlikely to get traction in a highly concentrated high end,” Mr. Faucette said in a research note. He added that Nokia’s Lumia phones were not competitively priced, and that the performance of phones with Microsoft’s Windows Phone 7 software had been underwhelming. Google today disclosed plans to shut down or offload seven more products in its third house-cleaning session this fall under new CEO Larry Page. Most of the new targets have already been de-emphasized, so they don’t come as a surprise: Friend Connect (early social platform), Gears (offline access), Wave (newfangeld collaboration), Knol (like Wikipedia), as well as Bookmarks List, Search Timeline and a project called Renewable Energy Cheaper Than Coal. A new generation of contact lenses that project images in front of the eyes is a step closer after successful animal trials, say scientists. The technology could allow wearers to read floating texts and emails or augment their sight with computer-generated images, Terminator-syle. Previously you could only chat with someone if you knew their email address. Now you just need to have each other in Circles. The move would allow Samsung—which has been preparing since early this year to launch TVs using the U.S. search giant's software—to beef up its TV offerings, especially what it calls "smart TVs." Samsung is hoping that such efforts will help boost its profit and fend off price erosion in the TV market, where manufacturers have been hit by weak demand due to the global economic slowdown. Google TV will allow users to surf the Internet on their TVs, check e-mail and log onto social networks just like they do on computers and smartphones. Notebook computers designed around Google’s Chrome operating system will be available starting at $299, marking a significant price cut for machines premised on the idea that users want a laptop experience built around the Internet. Beginning this week, versions of the so-called Chromebook from Acer and Samsung will go on sale for the reduced price, Google said in online posting Monday. Chromebooks from the hardware makers had previously started at around $350. Google does have an Android search app that runs on phones and tablets. While it doesn’t support some of the flashiest new features, it does offer support for things like instant search and the “+1″ options that are also part of the new iPad app. If the public dumping of Google TV by Logitech was somewhat harsh, Google promptly found a rebound, it seems, in LG. A few days after the Verge report, Bloomberg came out with news that Google and LG Electronics "may" unveil a TV at January's CES show. I suppose a lot of things "may" happen at CES, but Bloomberg seemed relatively confident on this one, based on reports from "two people with knowledge of the project." Official spokespeople from the two companies declined the comment. The Electronics Times, a newspaper in South Korea, where LG is based, had previously reported the two companies were "in discussions," but didn't know when the product might be unveiled. A facelift, a breakup, and a new romance: all in all, an eventful week for Google TV. Citrix Systems and Juniper Networks are among the technology vendors that could benefit from a U.S. government search for ways to secure Apple’s smartphones and tablet computers for the use of federal employees. Apple’s devices, along with those using Google’s Android software, are drawing interest from U.S. agencies responding to a workforce that increasingly wants an alternative to the Research in Motion BlackBerrys that have long dominated the federal market. “As innocuous as H-P tries to make that sound, the market has never been told that Itanium lives on only because H-P is paying Intel to keep it going,” Oracle stated. Oracle compared the effort to create a perception that “a dead microprocessor is still alive” to a 1989 movie. “The whole thing is a remake of Weekend at Bernie’ s,” the company wrote. Microsoft says Google’s efforts are hardly noticeable. But Google executives say that more and bigger companies are signing up for the cloud service. Possibly more important to Google is the way that Apps helps Google build social networks inside business. If successful, it would be a threat to Microsoft’s biggest division and would create another inroad in its struggle with Facebook to dominate users’ online lives. Google (NASDAQ:GOOG) Nov. 17 launched Google Music App for Google TV, a program that lets users play their Google Music collections in the background while they surf the Web or access other applications on their TV. The application comes one day after Google launched Google Music, the company's streaming music service that lets users purchase and share some 13 million tracks from Universal Music, Sony Music and EMI Music. Qualcomm goes to the dogs? Speaking of next year's Windows release, a prominent Microsoft watcher said this week that Windows 8 will ship significantly later than many (myself included) believe. I wouldn't mention such a thing if this was just some random analyst—I abhor most of those people—but this is Michael Cherry of Directions on Microsoft. He's a friend, a trusted source, and a knowledgeable insider and former Microsoftie. So his word carries a lot of weight with me. "I think Windows 8 is about a year away," he said. "I believe there will be an RTM somewhere in the last quarter of 2012. Traditionally, there's been a 90-day gap between RTM and general availability. To me, that means machine availability in 2013." I have a lot of thoughts running through my head about this one, so I'll try to be brief. First, that would be disastrous, and would give Apple—and Amazon now—another year in which to dominate the nascent tablet market. The top human Jeopardy players are very, very good, with the all-time champion answering nearly two-thirds of the questions in a match with 85 to 95 per cent accuracy. In 2007, the best the IBM team could manage was around 30 per cent accuracy, so they decided to shift their approach from sifting through large amounts of structured databases to looking at more unstructured data via Hadoop. The second big shift in strategy was the abandonment of software rules wherever possible. Brown explained, for example, that while it might seem logical to set up a rule that a data set for “month” should only include the standard twelve, January to December, this left Watson flummoxed over questions of holy months such as Ramadan. Rather than set strict rules, the team relied on a statistical analysis of evidence to weigh probabilities of a specific answer being correct. In fact, Mahmood and Desmedt say that the features on Google+ are merely a subset of those that are available on Facebook. However, they concede that Google+ has a better interface and that it allows finer control of content through features such as disabling the resharing of content and in allowing users to edit content by modifying or backtracking on their comments at any time. These are things that are not possible on Facebook. Finally, they say that while Facebook uses an encrypted channel for login, Google+ uses it for the entire connection. That makes it harder to carry out a man-in-the-middle attack on Google+. Overall, Mahmood and Desmedt don't appear to have identified any showstoppers in their analysis. Google may want to tweak a few things such as the sharing of metadata and the ability to make exceptions when sharing content. The world has watched the lives of Ashton Kutcher and Demi Moore unfold on Twitter every day since January 2009. The couple are among the microblogging service's most popular users; Kutcher's @AplusK account has more than 8.3 million followers, while Moore's account, @MrsKutcher, has more than 4.2 million. Moore publicly announced Thursday that she's divorcing Kutcher, but made no mention on her account. Back in July, Facebook video calling powered by Skype was launched. Today we are thrilled to announce our partnership with Facebook has reached yet another milestone with the launch of Skype 5.4 Beta for Mac and Skype 5.7 Beta for Windows allowing you to conduct a Facebook-to-Facebook call from within Skype. This new development in the Skype-Facebook partnership is the latest example of how Skype is removing communication barriers and making it easier to connect with friends, family and business colleagues. Our approach to social is about personal connections with people. We are on a mission to connect over one billion people and our continued partnership with Facebook brings us one step closer to this goal. Soon you’ll be able to buy a BlackBerry PlayBook for the same price as Amazon’s new Kindle Fire: $199. With the holidays nearly upon us — and a stockpile of unsold PlayBooks sitting in inventory — Research In Motion is giving its struggling tablet its steepest price cut yet. Amazon.com Inc., seeking to build on its expansion into e-readers and tablets, is working on a smartphone that will go on sale in the fourth quarter of next year, according to Citigroup Inc. The phone will be a midrange device that uses a processor from Texas Instruments Inc. and connectivity chips from Qualcomm Inc., said Mark Mahaney, a San Francisco-based analyst at Citigroup, citing research by Asian colleagues. The total list of components won’t exceed $100, he said. The big surprise here is the remarkable quality of the Nook Tablet’s video screen. It’s smaller than the iPad’s, of course, but every bit as sharp. And it is far superior to the screen on the Fire. I launched Netflix on both tablets, and streamed an episode of “Mad Men,’’ the prettiest show on TV. It wasn’t even close; the Nook Tablet had sharper resolution and richer colors. Still, you would probably be happy with either the Kindle Fire or the Nook Tablet, each an inexpensive, solid device that makes it easy to buy e-books, music, movies, and more. At these prices, Amazon and B&N may be losing money on these gadgets; but it costs a lot to open new retail stores, and that’s what they’re doing, one tablet at a time. 1. He plans to remove the influence of money from politics. "Politics for me is the most obvious area [to be disrupted by the Web]," said Parker. "Campaigns themselves, and all forms of special interest groups and PACs are driven by huge amounts of cash. If you're a PAC you're spending hundreds of thousands of dollars to mobilize single issue voters. Taking money out of politics with campaigns is possible through social media. Like with all of these other groups, they're spending a fortune basically for maintaining a mailing list, and that can be done basically for free using online tools. There's huge potential for disruption." Draconian new anti-piracy laws being pushed through both the Senate and the House of Representatives are about more than just an academic debate over different legislative methods for fighting copyright infringement. They make it clear that media and content companies are fundamentally opposed to the way the Internet works. These bills are promoted by media and entertainment conglomerates as a way to fight what they see as massive content theft, but to combat that evil, the companies are effectively trying to get Congress to take over the Internet—and trample on important principles such as freedom of speech. I predict Apple will introduce an iTunes client for Android soon; it probably just opted to wait until after Google dumped a bunch of resources into Google Music… Perhaps the Android iTunes client will also be buggy and run hot, e.g., like the Windows PC iTunes client. Supercomputing is now available to anyone for $0.05/core hour. Go to http://aws.amazon.com/hpc-applications/ and give it a try. You no longer need to be a national lab or a government agency to be able run one of the biggest supercomputers in the world. Asked if Microsoft should be split up to increase shareholder value, Ballmer said that wouldn't make sense because there's a lot of technological and business synergy across the company and that Microsoft "doesn't invest in things which are idly independent." In response to a question about whether we now live in a post-PC world, Ballmer said: "We are in the Windows era. We were, we are, and we always will be." Twitter is an innovative and remarkable information service. While it is amazingly democratic and allows literally anyone to broadcast publicly as a “tweeter,” the core value in today’s Twitter is the amazing flow of curated and customized information that emanates from its crowd-sourced user feeds. Other Internet networks like to keep the user “inside.” Much like Google, Twitter points out to the world. It’s a “discovery engine” and an “information utility” rolled into one. With Twitter, you get news faster, you see updates from your favorite artists, you hear directly from key politicians, and gain insights from influencers in a wide variety of specializations. Just as Facebook is symmetric in terms of its poster-reader relationship, Twitter is highly asymmetric. The majority of the tweets on Twitter are posted by a small sub-set of the users. And the majority of the users get value from “reading” or “listening” to the tweets from these core influencers. Once again, for most users it’s more about what you hear, learn, and find than the fact that you can tweet. On the tablet front, Amsellem said Nokia plans to have a tablet running Windows 8 by June 2012. This is interesting since Windows 8 itself doesn’t have a fixed release date yet – all we know is that it’s due to be released sometime in 2012. Amsellem wouldn’t provide any additional details about the tablet, but it’s nice to know that whenever Microsoft comes up with a new version of its mobile or desktop OS, Nokia plans to be right there to back it up with a piece of hardware. Chris Cox, Facebook’s vice president for engineering, explained at the f8 conference that Timeline was inspired by Nicholas Felton, a designer who has spent the past several years of his life chronicling the esoteric intricacies of each day. Mr. Felton tracked everything from the number of miles he traveled each year (including walking, driving and flying) to the types of beverages he drank each day. As Mr. Felton told me in an interview last year, he didn’t track and share this information as a display of self love, he did it out of a mathematical curiosity. But most people don’t have that curiosity. For Timeline to work, Facebook will need to tone “me” down a notch, and instead highlight my friends on the social network. One factor working in Apple’s favor is so-called consumerization, a broader trend in which companies become more responsive to consumer technologies like social media. Mr. Schofield said he had just gotten used to Apple’s way of doing business. “They’re not an enterprise company and they’re up front about that,” he said. For many years, the view that Apple did not care about serving businesses was reinforced by the outspoken Mr. Jobs, who died in October. On the rare occasions when he did meet with corporate customers, Apple executives often braced themselves for the awkward moments that occurred because of Mr. Jobs’s tendency to speak his mind, according to two persons who used to work in business sales at Apple and declined to be named to avoid inciting their former employer. At $199, and with Amazon’s content ecosystem behind it, the Fire is an attractive alternative for many people who might otherwise have bought an iPad or another Android device, especially if their principal interest is content consumption. The Nook Tablet also is worth considering, though it lacks a music and video ecosystem. Yes, Google should acquire Barnes & Noble. Wait, you ask, didn’t Google just buy Motorola, another hardware company? Of course, but the thing is, B&N isn’t a hardware company. What B&N is is a content retailer. And content is something that Google, as much as it likes to think it is, doesn’t get. At all. The examples are numerous. The failure of Google TV. Google’s no-show in the music space despite making noise with Google Music. And finally, there’s Google eBookstore, which, from what I can tell, is even more of a non-factor than Google Music. iTunes Match addresses the hoarding problem by finding user tracks that correspond with what Apple has in its library, and giving users a licensed copy, digital safe-keeping of unmatched tracks, and a way to re-download either of those to any device. This, in itself, is one of the biggest adjustments in the way Apple is rethinking storage. No longer is it about saving those files to a hard drive for safe keeping. Instead, you're paying for a highly specialized storage service that keeps everything, even tracks that weren't in Apple's library, in the cloud. Excerpt from a timely iPad reality check. I expect we’ll see price cuts and a ~7” iPad in 2012. ...the new Hon Hai forecast implies more limited upside to iPad units, which is disappointing for a December quarter. While improving holiday demand into late November could certainly push the momentum in the other direction, we believe it is prudent to assume the iPad is facing some near-term demand challenges. We believe there are several factors driving this pressure, but we also believe these issues are temporary and will likely be solved by three key factors in early 2012: (1) the continued adoption of iCloud, (2) the launch of Siri on the iPad, and (3) the addition of lower price points. Facebook compounded the error by failing to respond to Rushdie’s requests — until the author took to Twitter to share his tale of frustration. He encouraged his followers to make light of the situation, thereby attracting the social network’s attention. It worked. Facebook reinstated Rushdie’s profile in a matter of two hours, and in another hour the company had issued an official apology. Still, the incident throws light on an important and odd Facebook regulation: you can tell the service you are called whatever you like, but if it ever sees your ID, you’ll be forced to go with your given name. This has not been a great PR month for Google so far. On a brighter note, Google mentioned, at its Atmosphere event yesterday, that there are now 550,000 Android device activations per day. Google Inc.’s Android operating system for mobile devices has had an almost sixfold increase in threats such as spyware and viruses since July, according to Juniper Networks Inc. That may increase the perception that Apple devices are safer than smartphones and tablets that run on Android, said Juniper. Trapit was unveiled in June as a system for personalizing content based on keywords, URLs and reading habits. The company describes itself as a “Pandora for content.” By using its A.I. technology, Trapit can identify related content based on contextual data from more than 50,000 sources. Like Siri, Trapit was born from the $200 million CALO Project (Cognitive Assistant that Learns and Organizes). CALO was the largest artificial intelligence project in U.S. history. It was funded by DARPA (Defense Advanced Research Projects Agency), the Department of Defense’s research arm. Still, it’s a pretty good tablet overall, especially if you already spend lots of money at Amazon.com. The Fire is basically a portable storefront for Amazon’s millions of products. If you pay $79 a year to join the company’s Amazon Prime service, you can use the Fire to watch free movies and TV shows, and electronically “borrow” books instead of purchasing them outright. Throw in the price -- $300 less than the cheapest iPad 2 -- and the Kindle Fire is a good deal for Amazon loyalists. Since there are 10 million of those avid online shoppers, the Fire’s going to be a solid success, and probably the number-one non-iPad tablet. But I doubt it’s the market-shifting game changer so many people expected. It’s much too cool for that. Super-investor Warren Buffett's Berkshire Hathaway biz has revealed that he has spent most of this year buying up a 5.5 per cent share in IBM. The "Oracle of Omaha" said Berkshire had bought $10.7bn of IBM's stock to take a stake that makes it, along with State Street Global Advisors, one of the largest investors in the company. Buffett traditionally stays away from stakes in technology firms because he doesn't understand them, but said IBM was different. Most of these gripes are minor, and to fully appreciate the Amazon Kindle Fire, you have to step back and look at all you’re getting for $199 (the base 16GB iPad is $499, the Nook Tablet $249). This is a highly polished device and collection of services. It bakes in books, music, movies, apps/games, magazines, multi-tasking, universal search, easy access to anything you have in Amazon’s cloud, and a sense that this device and Amazon know you. It is the closest tablet I’ve seen yet to an Apple iPad: a consistent, well-thought out marriage of hardware and services that offer an almost frictionless environment for app purchase and content consumption. This is why the iPad has been so successful and why I think the Kindle Fire, despite its imperfections, is a winner, too. Want to see how the Kindle Fire stacks up against the Nook Tablet, iPad 2, and Galaxy Tab 7.0 Plus? Check it out right here in our product comparison! About 70 to 80 percent of health-care costs in the United States stem from chronic conditions that are largely preventable or manageable, such as hypertension, diabetes, and heart disease. Those three conditions alone cost U.S. employers nearly $500 billion in lost productivity, according to the Milken Institute, a nonprofit economic think tank. But effective prevention strategies have proved elusive; simply educating people about the benefits of eating better and exercising has had little effect. Aetna and other health-care companies, such as Humana, hope the features that have made games so addictive will motivate people to adopt healthier lives. A crop of startups are integrating social networking and behavioral economics with games toward that end. Although Aetna declined to provide estimates, even a modest change for the better could have a big impact on an insurer's bottom line if the results were sufficiently widespread. Both were among the first investors in Google, which made them billionaires, and, before that, they created and sold a company to the networking giant Cisco Systems for $220 million. Wealth and reputations as technology seers give their arguments about the risks of faster networks rare credibility. Is your primary interest in an e-book reader, well, reading? Then Amazon’s refined, dirt-cheap Kindle and Kindle Touch are no-brainers. Remember how disappointed everyone was back in October when Apple announced an iPhone 4S and not an iPhone 5? Everyone had been led to believe by scores of reports that there would be a revolutionary new iPhone with a bigger screen and a new slimmer look. In a radical rethinking of what it means to go to school, states and districts nationwide are launching online public schools that let students from kindergarten to 12th grade take some—or all—of their classes from their bedrooms, living rooms and kitchens. Other states and districts are bringing students into brick-and-mortar schools for instruction that is largely computer-based and self-directed. 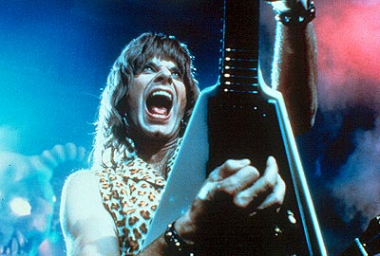 The search giant has sent out invitations to a “special event” in Los Angeles next Wednesday, (supposedly from Spinal Tap bassist [Doh! Lead guitarist, that is. ]Nigel Tufnel, which is a calendar joke). Every indication is that it will be to launch Google Music — a service that’s supposed to include both a store and a limited sharing capability, tied to its Google+ social initiative. Yesterday, Logitech hosted an Analyst and Investor Day and during his remarks, CEO Guerrino De Luca pulled absolutely no punches in describing the "mistakes" the company made with its Logitech Revue Google TV set top box. 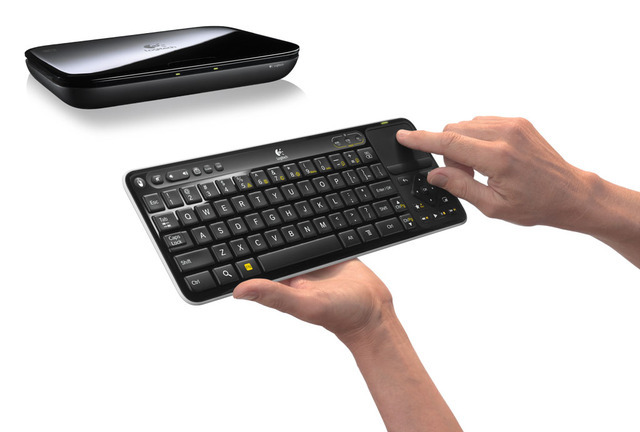 Calling the company's Christmas 2010 launch "a mistake of implementation of a gigantic nature," De Luca told investors that the company had "brought closure to the Logitech Revue saga" by making plans to let inventory run out this quarter and that there are "no plans to introduce another box to replace Revue." Then there's the matter of the FTC audits. We don't yet know how aggressive the scrutiny will be — Google's agreement required "audits conducted by independent third parties every two years to assess its privacy and data protection practices" — but more aggressive regulation present new barrier at a time when Facebook is trying to break down walls that stand to stifle its growth. I just finished a full-length sneak preview of the company’s new film. Yes, an honest-to-goodness Microsoft fim, called Ctrl+Alt+Compete. (We first told you about it in September.) It’s a behind-the-scenes look at the startup world, making its world premiere at the Napa Valley Film Festival on Friday. It’s a very good movie. In content and pacing, it actually felt to me more like a high-quality television documentary, telling the stories of five startups over the course an hour. But most of all, Ctrl+Alt+Compete deserves credit for pulling no punches in its portrayal of the technology industry — even when it comes to Microsoft. Whether it's social business strategies or product features and capabilities, Lotusphere has what you know, love, and expect. Same tracks, similar labs, and another awe-inspiring Solutions Showcase. Previously, the app could be used to research products and order them, but the products had to be picked up from an employee in the store. For now, use of iTunes as a traveling wallet is modest; you can use it to buy the cheaper accessories in an Apple store. The phone’s location tracker has to be on, too, so Apple can verify that you are in one of its stores.